an 18 and older multi gaming community. 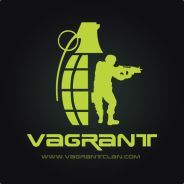 Vagrant was established in 2005 and has since become a home for many adult online gamers. If you are interested in joining Vagrant, pm any admin or moderator or go to our website and post in our forum. Server issues can be reported to Vagrant members(Group Officers). Please report server admin abuse, crashes, cheaters, bugs, etc. I hate to be the source of drama today, but I wanted to inform you that one of your group's members is an active leader of a militant anti-LGBT Steam group. Their aim is to encourage the ACTUAL murder of gay, bi, and trans folks. Not kidding, not trolling. I wasn't sure what your group's policy was when it comes to this sort of activity, but I felt strongly that you should know about it in case you have as little tolerance for it as we do. Steam itself has a zero-tolerance policy for this behavior, but they are incredibly slow to act. And he's a member of your group. At any rate, thanks for your time, and I won't trouble you about this further. Sorry for the drama. No problem! Were setting up June's giveaway now. Congrats vypon!